New vehicle pricing includes all offers. Tax, Title and Tags not included in vehicle prices shown and must be paid by the purchaser. While great effort is made to ensure the accuracy of the information on this site, errors do occur so please verify information with a customer service rep. This is easily done by calling us at (888) 803-0970 or by visiting us at the dealership. Another great experience here at MB of Bonita Springs. The staff here really makes you feel welcome upon arrival and throughout the whole experience. I would like to say thank you to Frank Deluca, he’s always there to answer questions and put in that extra effort to help you out. He is especially good at keeping you in the loop when it comes to your vehicle and its progress. Whatever it may be. My wife and I recently purchased a Mercedes Benz from MB of Bonita Springs. Frank DeLuca was wonderful to work with and made the entire process very simple, easy, and efficient. We left with a beautiful S-Class and couldn't be happier!! The best experience you could ever ask for. From the minute I walked into the car dealership, the service, at every level was second to none. Mr. Deluca is an amazing salesman with extensive knowledge. He goes above and beyond professionalism. It was the best experience I’ve ever had one buying a car. The best in car sales period! My car purchase through Frank DeLuca at Mercedes Benz of Bonita Springs could not have been more pleasant, start to finish. Before purchasing my E 300 I visited various local Mercedes dealerships. No dealership stood above Mercedes Benz of Bonita Springs or their premier sales consultant Frank DeLuca! Throughout the negotiating process, I always felt Frank was in my corner, working hard on my behalf. In addition to appreciating getting a good deal with Frank, you will no doubt also be appreciative of Frank’s car knowledge, customer care, and excellent demeanor! Best car buying experience ever!!!! It is hard to express just how AMAZING Frank DeLuca and the entire team at Mercedes Benz of Bonita Springs is! I was immediately impressed by how friendly the staff was, which put me at ease. Frank guided me through the process with absolute professionalism, making what I thought would be a nerve racking experience really enjoyable. This dealership provides excellent service and pricing. I love my new Mercedes! Thank you Frank and Lenny!! First new Mercedes Benz for my family and Frank Deluca and his team made every step of this transaction an absolute pleasure! Highly recommend this dealership. Just purchased my third Mercedes from Frank Deluca at this dealership. Frank is the best! I highly recommend Frank Deluca and this dealership. My experience could not have been better. The minute we arrived in the service bay we were greeted with a friendly face! Everyone here is always considerate and caring about your vehicle needs. It's always a pleasure dealing with Mercedes Benz of Bonita Springs! Bought a car from Frank Deluca. Worked with him on the phone first, then drove 6 hours to buy a car. Was worth the drive. would recommend him without reservation. Frank Deluca and joe Irpino were informative and made our experience Stress free and would definitely go there again for another car We love our new car and tell everyone How great we were treated. Super easy to buy my Mercedes..! I have now bought 2 cars from Frank DeLuca. He makes the process easy and fair. Any service issues after the sale have been taken care of super fast. Frank is a real professional..!! I have been working with Frank for the past week. His knowledge and professionalism is by far the best I have encountered. From the available options to the extent of the warranty, he was always there to answer my questions. I hope to work again with Frank and would highly recommend him. I bought a car from Frank Deluca it was exactly what my wife wanted. He so professional, and knowledgeale on what we needed. This was the second car in two years that we purchased a car from Frank. I can’t wait to purchase my next car. He is the best. Third time I've worked with Frank and will continue to do so. He provides great service and ensures I'm happy a happy customer. I highly recommend Frank DeLuca when you are in the market for a new or pre-owned vehicle. He is very knowledgeable on all M Benz models and clearly can help you meet your needs when shopping for your new car. Even after the sale is complete, he will be there to help with anything additional that you may need. Truly customer service at its best. A wonderful person to work with through your sale and beyond. Frank makes the entire purchasing process efficient and seamless. He is very knowledgeable about the vehicles he sells and aims to please, assuring that the buyer is entirely satisfied. I highly recommend dealing with him. I scheduled my S550 for service. The routine service was completely quickly, but there was a misunderstanding on dealing with some minor scratches. While in the dealership, our salesman Frank DeLuca saw me and came right over. He wanted to make sure everything was going well. When I explained about the scratches, he quickly jumped in and got the issue fixed immediately! I was blown away. Frank is one of a kind. Buy your next car at Mercedes-Benz of Bonita Springs and ask for Frank!!!! I’ve bought several cars from Frank DeLuca and always find him to be professional and trustworthy. I highly recommend Frank and Bonfta Springs Mercedes to my friends and family Joseph Irpino in finance is a true professional and is always a pleasure to work with. From the moment we were introduced to Frank DeLuca our experience was seamless. Every detail promised was taken care of including phone calls. Could not have been more pleased. Amazing experience top notch ! Frank always looks out for me and my family! If you’re looking to buy a beautiful MERCEDES BENZ, please call/ask for Frank Deluca...He will always take great care of you..Best In Class! And then when you need your vehicle serviced...you will be in great hands....Outstanding Service! I’M GOING TO KEEP THIS SIMPLE PEOPLE #1- Frank De Luca #1 Joe Irpino #1 Moses #1 Rod Reese THESE ARE THE PEOPLE ... YOU WANT THE BEST ? THESES ARE THE MEN, PLAIN AND SIMPLE. Amazing! Couldn't have been treated.more professionally! Frank was so wonderful and professional, that I drove all the way up to Naples, Florida from Miami. He's honest, knowledgeable, professional and has the best customer service I've ever experienced in this type of business. Highly recommend him! Top notch in every regard and each step of the process. A Mercedes owner recommended this dealership because of the good experience he had. He recommended the salesman, Frank Deluca, whom I bought my vehicle from. He listened to my needs and recommended the car for me. We negotiated a hassle free price and closed the deal, It was really that simple. My salesman introduced me to the service department and they were just as amazing as the rest of the staff I worked with. This is definitely the dealership you want to be associated with for the purchase of your Mercedes. Best dealership around. Love dealing with frank he makes the car buying experience easy and enjoyable. Highly recommend this dealership and frank to anyone looking for a vehicle. A mutual friend introduced me to Frank and I'm so glad they did! I needed a new car and Frank helped me customize my e53 amg convertible and I'm in love with it! He was very helpful through the entire process. I would highly recommend going to see Frank for all your Mercedes-benz car needs! Highly recommend Frank DeLuca without reservation. Extremely knowledgeable and professional. Pleasure to deal with. Frank does what’s necessary to get the deal done. Great experience working with Frank and the people at Bonita Mercedes. Service staff also excellent. I met Frank as we shared the same client. Our client bought a brand new 2019 CLS450 but it needed a little bit of a upgrade on the audio side. Our client ended up coming to my shop Devine Concepts which is right around the corner from the dealership. Frank help me understand the clients needs and the level of execution that needed to be provided. Together we worked out a solution that worked perfect for the client and his expectations were far exceeded. I would recommend anyone looking for a new or used vehicle to Frank, he treats you like family, listens to what your needs and expectations are and then exceeds them!! We met a salesman who is an old friend of an old friend of ours. He found the car we were looking for and took very good care of us. We would recommend your dealership to anyone who is interested in purchasing a Mercedes. I spoke with Josh to close the deal on the car and he was out the next day. I work with Frank once I got on site and Frank did a thorough review of the options and was very professional. I would definitely recommend this dealership to future Mercedes owners. Frank is amazing, took care of all my needs and the customer service is amazing! I recommend Frank all the time for any kind of Mercedes sales ! This was not my first experience at the store and it most definitely will not be my last! Everything is always first class, from the appearance of the store to the staff from the moment you walk in until the time you leave is second to none! My only complaint is that I cannot buy a car every other week just to enjoy this experience more often. Frank made the buying experience so pleasant, Armando had all of the finance papers in order so it went efficiently and quickly. Moises was quite knowledgeable and patient in teaching me every detail of the vehicle and showing me how to work all of the new features. As always, Jeff Wolfson oversaw everything to ensure my repeated pleasant experience! There is a reason I keep coming back! I’ve been doing business with Frank for the last 5 years and never have I walked out of the dealer with a frown on my face , ALL SMILES .. another successful deal done by none other than Mr.DeLuca ! Thanks for everything. I walked into Mercedes Benz of Bonita springs, was greeted by Frank DeLuca. The most knowledgeable salesman I have ever met, he was in a suit and dressed very professional. We came to an agreement on the price and was fair. I recommend frank and Mercedes Benz of Bonita springs. Best experience I ever had at any dealership, Frank makes everything transpire very easy and efficiently. Great personality and very knowledgeable. All around great guy. Staff worked together to accommodate the customer...making a pleasant experience. Mr Dosanu, Mr DeLuca and Mr Mesa thank you . Looking forward to coming back for another car. I am so happy that we were able to work with Frank on the purchase of our CPO vehicle. He was just wonderful to work with and made the process painless. Plus he is a really great guy. I have already recommended him to several of my friends that are in the market for a CPO or new Mercedes. Thanks Frank for a job well done. I met Frank on New Year’s Eve 2018 looking for a convertible Condo Car. We had a 1997 Z-3 that was getting hard to get in and out. Frank had a recently traded in 1 series BMW with low mileage that was exactly what my wife was looking for. The trade went efficiently and smoothly. Frank is an outstanding representative of MERCEDES and I would recommend him without reservation. The best experience I’ve had buying a car very professional and sensitive to my needs . I recommend this dealership highly you won’t be disappointed.. I would like to thank Frank DeLuca for his assistance and guidance in helping me purchase my E43 sedan. Although I live in NY and was unable to obtain the vehicle in Fla, he assisted me in the process of leasing my new vehicle. His knowledge on every aspect of the car, especially in terms of distinguishing the special features of AMG, was extremely helpful. He is a passionate true professional who I can recommend highly for any potential Mercedes Benz lease or purchase. My Sales person, Frank Deluca of Bonita Springs Mercedes, was very helpful and facilitated the process in an excellent way. He is very knowledgeable and excellent at what he does. Very appreciated. Frank DeLuca went beyond the call in assisting me trying to find a specific vehicle. Professional, smart and no nonsense assistance. I wanted a used gle and he educated me through the process. I found a vehicle with another dealership that Frank didn’t have access to but it didn’t matter....Frank assisted me in buying from the other dealership even though he wouldn’t benefit !!!! That’s the salesman that brings you back !!!!! Way to go Mercedes Benz Bonita, you’ve got my business in the future! Frank went over and beyond for me I bought a s class about a week ago and now today , 12/26/18 I’m on my way back to him to by a Amg from Frank. This man is smart sharp and gets it and with my extremely busy schedule I don’t have time to waste. He expedited everything as I asked him to do and went over and beyond to make this a effortless wonderful experience... He’s professional and I only deal with people of this caliber. So job well done Frank, and I would recommend Frank highly. Truly Outstanding and Superb Dealership!!!! Came into the dealership and knew what we wanted. Read the awesome Reviews of this dealership and Frank DeLuca was definitely Our go to Guy. This dealership has really a huge huge selection just in case your not sure. Frank gave us the grand tour of the facility and service department. Everyone vehicle was immaculate very clean and spotless. The staff was super professional courteous and above all very nice, All the way from the greeter to the sales/leasing consultant. Felt like family and this cousin Vinny was very happy. Lol Frank DeLuca was super patient, even though we already knew the vehicle we wanted was there with all the bells and whistles. We had 8 more months before the lease was reaching its Maturity date, Frank showed us how with Mercedes-Benz pull ahead program we can get this done same day. With Franks’ expertise in getting us into the new lease without any hiccups was truly seemless and very relaxing to say the least. We usually buy cash since we have 5 cars not because we are realtors @Keller Williams but because we hate payments and we love our benz’s and always liked to own. Some of the vehicles in the passed we’d sometimes buyout the lease if it makes Sense. But we all know the first 2-3 years of any vehicle is pretty much maintenance free. Frank made sure we linked our credit card with autopay and he made it quick and easy. Their finance dept are really great with 25 minutes we were complete in all aspects. What else can I say but my wife and I are happy campers. Hats off to this amazing dealership!! Job definitely well done and we will HIGHLY recommend Frank and this wonderful dealership and will be back for more!!!!! Just purchased a 19 g wagon. From Frank. Best experience ever. He made us feel important and we loved his honesty and integrity . Thanks Frank. I bought a SL550 from Frank 3 years. Now I bought a CLS400 from Frank DeLuca at bonita springs Mercedes Benz. SHAWN took care of me in service for the last 2 years. I recommend Frank DeLuca if your looking first a good deal. Great Team at this dealership! My wife and I just took delivery of our new 2019 G Wagon G550. I would like to thank Frank for his professionalism throughout the process. This is our 4th car we bought from Frank in the past couple years and I highly recommend him. Great Guy! I saw this beautiful car on my Friend Frank Deluca’s Facebook page and knew this was the perfect car for my parents. I mesaaged Frank asking if it was still available because its been about 8hrs since he posted it and he replyed “yes it is” . Frankie send me the papers i needed to purchase the car which came the next day via FedEx to my office in NYC . Frankie will also deliver my parents car to Boca Raton . Frankie your the best !!!!! Transaction couldn’t be better... They are lucky to have you !!! Exceptional service after the sale. This is the 2nd car I have purchased from Frank DeLuca and MB of Bonita Springs. Frank did a great job as usual and turned what can be a stressful experience into a pleasure. Frank got me the car I wanted at the right price. Great service at a great price...what more do you want? Thanks again Frank. You know I will be back. This was easily the most stress-free car buying experience I’ve ever had. Frank found me the amazing car that I’d been searching multiple dealerships for within the first 10 minutes of my arrival. Then we found a price that I could agree with just as fast. There was never any pressure and the friendly, personal service left me feeling great about my choice. There is no doubt that I would buy from these guys again! A friend drove our almost two year old Mercedes SUV to pick us up at the airport late on a Saturday afternoon. She told us the car overheated and was unsafe to drive. I called our salesman, Frank DuLuca, who took control of the situation by arranging a tow truck to bring the car to the dealership and had a loaner ready when we arrived. He said he would wait if necessary to make sure we were taken care of. Definitely a 5 star service that is very much appreciated. Generally you have a good experience at any Mercedes dealership. I’ve purchased from more than a few. I can say that Frank DeLuca was top notch and made the experience very enjoyable. He was knowledgeable in some of the nuances of the vehicles and provided invaluable assistance. I would go back to him in a minute. Moises walked me through the details/setup of the new vehicle. He was patient and very knowledgeable, I would recommend him highly. Frank DeLuca never ceases to amaze. My GLE got an other nail in it's tire. I found out around 9pm. I texted him shortly after I found the nail, I contacted him expecting to receive a response the next morning. I was very surprised when he immediately responded. Frank asked if my family and I were ok and if we needed assistance. I explained that we were home and safe. Frank immediately got in contact with Shaun Day, with the Service Department, in order to setup a loaner GLE for the next morning. I picked up the loaner with no issues. Frank got in contact with me later in the day, letting me know there was an issue with my rear brake light and they would have to keep the car a bit longer. The next day Frank drove my car to my house to drop it off. I am amazed at the level of service Frank and all the staff at Mercedes of Bonita display. I would definitely recommend buying your next car from Frank, not just for a great price but for the peace of mind knowing that he is there for you every step of the way. Frank really portrays the Mercedes slogan: "The best or nothing". Frank provided a great service, it was a pleasure dealing with him, he was knowledgeable and was able to answer all my questions. Felt at ease throughout the transaction. Frank went the extra mile and gave me a ride to the dealership, in no time I was driving back to Miami. Look forward to future business. with Frank and Bonita Springs Mercedes Benz. Frank is one of a kind! If you buy a car from frank you not only getting a car but you are getting the full package and Knowledge. He knows how to keep you happy and how to get you the best deals with your purchase. I would recommend Frank to any family and friends of mine. Frank and Torrey are the best! They both take Customerservice to another level! Mercedes of BONITA Springs is all the better for havong these to outstanding assets as a part of the team. Frank provides an excellent service. He is a professional in every aspect. He was great to work with. Shaw was execeent to work with also! Excellent service from the entire staff here at MB of Bonita, very helpful the moment you walk in the door. I would Especially like to thank Frank Deluca for his service and keeping me posted about my car which was being shipped here from up North. Frank was there for me from beginning to end, answering any questions I had. Frank is an absolute professional. His level of service has set a new bar in my expectations of what a car purchase should feel like. Very much look forward to working with him again in the future. I was referred to Frank by a friend. And so thankful for that! Contacting him was a breeze. He kept me up to date on the vehicles I was in the market for. Upon finding a vehicle he scheduled an appt with me and had the car waiting up front when I arrived. He greeted me with a warm smile and I felt like I had known him my whole life. Lots of laughs and smiles. Not pushy at all. He allowed me to really experience the car during the test drive instead of taking me on some cookie cutter route. When it was time to negotiate he was straight forward and I had complete control of my decision. Again not pushy. And seemed to actually care that I was making a decision that I was going to be happy with. He walked me through every step of the process! When it was time to hand me off to finance I had the pleasure of working with David. He was friendly and personable! He was able to answer all my questions and walk me through the application. Plus he did it in a manner that was quick and efficient! Out of the 12 cars I’ve purchased this was hands down the best experience and customer service I’ve ever had. Thank you so much Frank and David!!! I highly recommend Frank when looking for either your first or next Mercedes Benz purchase. Frank was recommended to my wife and me by a mutual friend. We were looking at several different types of SUV’s and are now first time Mercedes owners. Frank’s no pressure sales approach and his knowledge and explanation of features and benefits of the Mercedes line is unsurpassed. Don’t miss the opportunity to work with Frank on your next Mercedes purchase! I also want to commend Moises and David on a job well done. Moises took the time, at a very relaxed pace, to walk my wife and I through all the.bells and whistles on our GLS 550. David made the financing portion of our visit quick and painless, Excellent service and a job well done by Frank, Moises and David. Thank you all for a great experience! Amazing experience I was about to give up looking for my Mercedes Benz my dream car until I met FrNk DeLuca. He is an exceptional sales person. Wonderful personality, answered my questions, made me feel extremely comfortable and you can tell that he really cares. about his customers I will be referring all of my friends and family to Frank DeLuca. I have never been so happy. Mr. Frank Deluca exudes professionalism! He was by far the most impressive salesman we’ve ever dealt with. He was extremely responsive, reliable, well knowledged, and prepared to take any necessary measures to secure our needs were met and left us highly satisfied. We purchased 2 vechicles from him and have recommended him to multiple friends that are currently in the processing of purchasing from him as well!! Service couldn't have been better. Frank Deluca got me exactly the car I wanted at a competitive price and made sure that the process went as smoothly as possible. Truly 'White Glove' experience from beginning to end. Jim, David and Moises all excellent in their roles as well. Many thanks to all. Probably the best experience I every had. One of the best experiences I ever had buying a car from Frank. Very professional, knows the product and knew exactly what I was looking for. Frank truly cares about his clients and not just so he sells a car. He’s there for you all the time and does anything to help. Best decision anyone can make is to see Frank when your in the market for a New or Pre-Owned Mercedes-Benz. Amazing Experience, thank you Frank! If you are in the market for a car you have to visit Mercedes-Benz of Bonita Springs and ask for Frank! He truly cares about his clients and goes above and beyond. He is the definition of “The Best or Nothing” He is to the point, very knowledgeable and will deliver a different kind of car buying experience! Thanks for all your help Frank! Frank Most people live their lives and never truly able to identify their purpose, which is their vision’s life assignment. You are an exceptional, not not a sales person. You are fulfilling your purpose by helping others purchasing the right vehicle that is suitable for them. We appreciate your professionalism and your kindness from day one when we met you. You go above and beyond for your customers. You are truly an asset for Mercedez of Bonita. Again thank you for being you. Excellent and professional service from the moment I walked in the door. Every person I encountered was pleasant and knew the product. . Frank was especially helpful, efficient and accommodating. Frank is the perfect sales professional! Wasn’t sure of the model I wanted so Frank patiently showed me various models and variations. I finally found the car I wanted and Frank took care of the rest. After the purchase, the excellent service continued. Frank is like having a personal car concierge! Frank DeLuca is the ONLY salesman I would ever deal with. He is honest, professional, caring & genuine! Franks the best!! I would gladly recommend Frank in a heartbeat! What an amazing experience! It was absolutely effortless dealing with Frank. He made everything so easy and pleasant. He worked hard to ensure I got exactly what I wanted and was extremely efficient about it. His humor and friendliness on top of all of that was icing on the cake! I highly recommend him to anyone looking for a car. I have never had an experience quite like this one! AMAZING!!!! Jeff Wolfson and Frank DeLuca made leasing my new car the easiest experience I have ever had looking for a car. We dealt 100% over the phone. My car was literally delivered to my door so quickly even though I’m in Miami and they are in Bonita Springs. Willie came with Frank and explained everything to me. Their service is impeccable and they are both wonderful to deal with. I would highly recommended them to anyone looking for a great deal and no hassle!!! I met Frank DeLuca in the Mercedes Benz of Bonita springs. He was fare and the right price was giving to me. I would recommend Frank if your looking for a good deal. Bought a vehicle yesterday. Was greeted promptly and courteously by Frank. He was extremely helpful and knowledgeable. He answered every question regarding the car I was looking at. Extremely accommodating with zero pressure to buy. It’s easy to see why Frank is the #1 salesman month after month. He is a real car guy. Knows his stuff! We will definitely buy from him again in the future and would recommend Frank to any of my friends looking for a new or used luxury vehicle. Mercedes Benz is a different car buying experience. Frank was straight-forward, efficient and to the point - exactly my kinda guy! He’s customer service focused and loves the brand he represents providing a very pleasant experience in the luxury market. I’d recommend him to anyone looking to purchase a MB! I bought 2 cars from Mercedes Benz of Bonita springs. The 2nd one I bought from Frank DeLuca, great guy we are both NY. He is a gentlemen and absolutely the person you would want selling you a vehicle. I sent him 5 people and all raved about their experience. Meecedes of Bonita is truly a great place and the only place I would buy a vehicle!! I had the pleasure of purchasing my new Mercedes Benz from Frank DeLuca. I live in New York and had the car shipped to me from Bonita Springs. The whole experience was easy thanks to Frank and he went above and beyond to get me the car I wanted. I must have called Frank a millions times during the purchase but he was always there to answer all my questions. The service provided by Frank was amazing to say the least! Will be back when my lease is up. I have been working with Frank DeLuca for the last three weeks and finallly figured out which car I wanted. He took care of me with price and service. If your looking for a Mercedes I highly recommend Frank. I bought 2 cars from Frank DeLuca and he is the greatest salesman I have ever did business with. He always takes care of me in service. I would recommend him to all my friends and family. I bought 2 cars in one month from Mercedes Benz of Bonita springs. Frank DeLuca was my salesman and did a great job. Got to the price I wanted and service was above and beyond. I recommend Frank to anyone looking for a Benz see him, class act. Our company has been utilizing Geoff Kaleal with Mercedes for over five (5) years and he always provides us excellent service and is truly a professional. Repairs are completed timely and when the vehicle needs to be left overnight, a loaner vehicle is always provided similar to the vehicle being serviced. I would definitely recommend Geoff to anyone needing repairs for their Mercedes vehicle. Although we are no longer in the same area, we will only work with FRANK DELUCA when buying a new car. In this particular situation Frank did not have the specific car that we needed, but Frank went WAY ABOVE AND BEYOND to connect us with a dealership that did, and he ensured that we were still given the right deal and fantastic service. Frank really knows the product inside and out, and was able to advise us on what options and upgrades we needed and which we did not. Frank also was candid in discussing the other manufacturers we were considering, and offered solid pros and cons about those cars to help us make our final decision. Can’t say enough good things, if you want to develop a relationship with an expert in the automobile industry, go meet Frank. I spoke with Frank deluca regarding leasing a Mercedes. Even though he was aware that I currently own a Lexus it did not deter him in any way. He went above and beyond to answer any questions that I had,and there were many. He had a lot of patience and never made me feel that I was taking up his time. I know when I am ready for my next car I will only deal with Frank deluca since he is so knowledgeable in his field. Found the BMW 6 series I was looking for in their used car section. Problem was I live in NJ. Called anyway and spoke with Mr. Frank Deluca. Within minutes of speaking with him and confirming they still had the car, he sent me personally made videos of the entire vehicle (inside and out). He emailed me the car fax and all dealer information they had on the vehicle. He sent me a picture of a small section where the clear coat was peeled away on hood. One day later I got a video of the section all re done as if it was new. Put down deposit and booked my flight. Told them I would be driving vehicle back to NJ. Mr. Deluca had vehicle checked top to bottom for me and placed brand new run flat tires on vehicle. He even picked me up at the airport. Exceptional experience. First class all the way. Went to salesperson Frank Deluca after my sister bought a car from him last year. Our experience with Frank made the sales process easy. Frank is knowledgable, went out of his way to spend as much time with us, and never pressured us. There when I needed them !!! I've dealt with a lot of Mercedes dealerships over 40 years since my first Benz. Never have I experienced the professionalism and pleasantness that I found here in Bonita Springs when I bought my new S550 Cabriolet. As much complaining as I've done in my life I can't find one negative thing to say about these people. Well -- perhaps they could serve breakfast, but that's it. From point of sale to every service need and now even a collision Frank is fabulous. He is responsive and gets involved to help in any way possible. Thank you Frank!!! I just purchased a new E400 convertible from MB Bonita Springs. Frank Deluca and John Bradley helped me every step of the way. The transaction was smooth, fair, and quick! Highly recommend! My buying experience at Mercedes of Bonita. By far, Mr. Frank DeLuca is the most professional and knowledgeable sales person I have ever dealt with. Over the years, I have purchased many top brand automobiles. No sales person I have ever come across can match what Mr. DeLuca brings to the table. I have referred numerous customers to him and each one had nothing but rave reviews about him.. If you are in the market for a Mecedes Benz, you would do yourself a service by dealing with him. Frank went above and beyond when my car needed new tires! Very helpful as a sales rep also! Will return to MB of Bonita Springs!! Took my vehicle in for the "B" service and Mercedes-Benz had a recall on my vehicle for retrofit fuse on Starting current limiter. Upon arrival at the service area I was immediately greeted by my service rep Torrey Tommaro. Torrey got me a loaner car and then I spoke with my sales associate Frank DeLuca who made sure everything was taken care of promptly. From the moment I walked in, Frank was a pleasure to deal with. It was a great Experience from start to finish. I would not hesitate to recommend him. Frank DeLuca is one of the better guys I have met down in Naples area. Very personable and an amazing salesmen. He helped us from the minute we walked in the door to even after the fact service. Called and checked up on us and help arrange servicing whenever needed. Highly recommend Frank as he is a true professional. Best experience possible, exceptional professionalism. Went to Mercedes of Bonita browsing for my next vehicle, and Frank walked right up to me to help get the process started. I currently drive a Maserati Granturismo but wanted to look at an AMG for my next car, specifically a C63. Frank was very knowledgeable and friendly, he was professional and provided an incredible customer experience. I would without a doubt refer anyone looking for a new car to come see Frank. Mercedes Benz of Bonita Springs, and more specifically, our salesman, Frank DeLuca were a delight to work with. Their attention to detail and efficiency of service made our car-buying experience an excellent one. I had just purchased a Mercedes from a friend. I needed some training. Even though I had not purchased it there, Frank was extremely helpful.He even put my license plate on for me. I leased a 2018 CLC300 from Frank DeLuca last fall and just bought a CPO 2015 ML just off lease. Car is so beautiful and immaculate it feels brand new! Frank found exactly what I wanted with both vehicles, and Joe could not have made the leasing or financing any easier. I have been driving Mercedes Benz cars since 1996.MB Bonita Springs, Frank and Joe truly are THE standard of Excellence...Thank you! Answered all my questions about the 2019 S class cars over several visits even though we are purchasing it from our dealership in Wisconsin. Thank you Frank. Bought a used Mercedes Benz ML 63. The staff was professional and efficient. One of my best experiences with a car dealership. Ask for Frank Deluca. He’ll take good care of you. At the end of March 2018 my family and I suffered a devastating house fire which consumed the entire house, contents and our beautiful 2017 C300 Mercedes Benz previously purchased at Mercedes Benz Bonita Springs. As with the prior purchase we connected with Frank DeLuca at the dealership. As we related the story of the fire Mr. DeLuca could not have been more compassionate and understanding. Mr. DeLuca even went the extra mile when he informed us that our Insurance adjuster had previously contacted him regarding the prior purchase, cost and packages. Mr. DeLuca was of tremendous assistance and guidance in pointing us in the right direction for the replacement vehicle. Mr. DeLuca is to be commended for a job well done! He is a credit to Mercedes Benz of Bonita and an asset to the Mercedes Benz Organization. It was an excellent experience. Very happy with Frank. Dealership and atmosphere is beyond my expectations. Will recommend to all my friends and family. Everyone was so kind. Very good experience car was delivered perfect and taken to my wife at work as she was getting done late. Frank made sure everything was taken care of. Service with Attention and Detail! I bought a car a couple of months ago from frank deluxe and was very satisfied with the buying experience. I recommend Mercedes of Bonita springs for a great buying experience. Frank has been amazing and I couldn’t imagine dealing with any other dealership. I have bought multiple cars from Frank and he has made every experience one to remember. I pulled into service and was met by a very professional gentleman who took me to my service advisor. Torrey was a very professional and great to work with. He got me a loaner car so I could continue with my day while my car was being worked on. Then got to view my invoice and pay online through a great and easy to use weblink. My wife went in next day to pick up car and it was ready and looked great after being washed. All around great job by all. Definitely recommend this dealer for sales and service. I bought a car from Frank a while back. He got me a great price and always takes care of me in service. I highly recommend buying from him, he goes above and beyond to ensure his clients are well cared for and get the best deal possible. Thank you Frank DeLuca for my E400 Cab. My wife and I love Stephen and frank the job they did delivering the car. I recommend Mercedes Benz of Bonita springs if your looking for a Mercedes. I have bought four cars from Mercedes-Benz of Bonita Springs this year and each time the service and experience reached new heights. I bought two of them from Frank DeLuca, who is the best sales professional in the car business I have ever met. He is honest and a pleasure to deal with. Every time I buy a car from Frank I am confident that I get the best deal possible. If you are in the southwest Florida area and interested in a Mercedes, go see Frank DeLuca at Mercedes-Benz of Bonita Springs. A pleasure to work with a very knowledgeable person. This is my 2nd car I bought from Frank DeLuca at Mercedes Benz of Bonita Springs. Thank you frank you are the best, love my Bentley GTC. We are so pleased with our experience at this dealership. Everyone is most helpful and accommodating. Frank DeLuca is the best! He makes it easy. Love the cars and dealership! Frank was A Superb Professional, Polite, Punctual, Excellent Appearance, with Expert Knowledgeable of the vast array of Mercedes Products, An Olympic Gold Metal Winner in the Sales Department. Jonathon was Extremely Proficient, Accurate, Prompt, and An Olympic Gold Metal Winner in his Business Department. Stephen Jr. was Extremely Helpful and Thorough in Presenting all the Features the Vehicle Contained as Another Olympic Gold Metal Winner. A pleasure to work with and very knowledgeable with Mercedes Benz Cars. He accommodated us by returning our car to our door. Highly satisfied with his service. Frank Deluca is outstanding as he picked up and delivered back my car. The up most highest service. My Navigation system is the Best! Thank you Frank and Mercedes Benz of Bonita Springs Fl. Great Experience and a fair deal for both sides. I went in to the dealership for service on my GLK and met Frank DeLuca from the sales team. We struck up a conversation about the E350 convertible we had just purchased at another dealership. I told Frank that Bonita Springs Mercedes Benz had originally sold the vehicle. He immediately remembered the sale and told me that it was a Certified Pre-Owned vehicle and should have the accompanying warranty. I was skeptical that it was the same car but he went out of his way to check the VIN, verify that it WAS the same vehicle and called me later in the day to explain the warranty and when it expired. I have always been super satisfied with this dealership for my service needs but Frank went out of his way to help me and I will certainly call him for any future sales needs. Dealer rating. Trying to logo was professional experience, on point and spectacular at finding me an amazing car for amazing price! Looking for a new car soon and will use him as a salesman again. Definitely a five star rating! I normally dread the car buying experience. Frank DeLuca kept us engaged, worked hard to provide the best deal and sales experience possible wanting us to be happy. Follow up after the sale is important to me. Frank's follow up is truly appreciated as he creates a relationship, not just a sale. I will be back to see Frank for my next car. Frank made all my dreams come true! I’ve always wanted a Mercedes AMG E63s Estate and Frank made it happen for me. He made the transaction quick and easy. I’ve owned a lot of highend cars and loved them all but this AMG 63 is the best car by far!! I highly recommend Frank and Know he will make your dreams come true as well.. I’d give him 20 stars if I could! Great people and awesome service! Keep up the great work in servicing the community that well! Will be referring any of my friends with absolutely no hesitations!! I recently purchased a certified pre-owned from Frank. When I washed it for the first time I notice some scuffs and chips we missed during the sale. I contacted Frank and he took care of everything. No stress, no questions. Frank truly cares about customer satisfaction. I am sure Frank sells much more expensive cars than what I purchased but you would never know it. He treated me with respect, listen to what I was looking for and guided me to The perfect car. This guy is top notch! Frank Deluca is an outstanding, trustworthy sales professional who makes it clear by his conduct that foremost in his approach is a desire to satisfy the customer and not to close a deal. I never felt he deployed any high pressure sales tactics and he worked diligently and patiently to try and satisfy my vehicle needs. I’ve worked with the other Mercedes dealerships in SW Florida, and by far, my experience with Mercedes Benz of Bonita Springs, particularly Frank Deluca on the sales side, Zubair Ali, the service manager and Carlos, the shop foreman, make this dealership the best vehicle consumer experience I’ve been a part of. As an added benefit, this dealership, which only opened in 2016 is state of the art, comfortable and welcoming. Highly professional and courteous staff at all levels of the dealership...receptionist, sales, service, financial office. Other dealerships (and indeed any business) could take a lesson on how to operate a successful business from these folks. Smooth, easy, and excellent service! A truly enjoyable experience paired with great service. Steveen, the tech concierage, was absolutely fantastic making sure all gadgets were explained in the mercedes s63 amg. Frank, our fantastic salesman, was equally helpful and knowledgeable on the product. Overall the best service is found at Mercedes of Bonita Springs hands down! BEST CAR BUYING EXPERIENCE OF MY LIFE! I CANNOT SAY ENOUGH GOOD ABOUT CAR SALESMAN FRANK DELUCA, HE DOESN'T JUST SELL CARS, HE REALLY CARES ABOUT HIS CLIENTS AND CUSTOMERS! I had the best NO PRESSURE car buying experience I have ever had, ~and The BEST part is, if you have questions AFTER you BUY your car from Frank, he doesn't just ignore you once sale is finalized and trust me, (I have had that at other dealers!).... BUT NOT WITH FRANK DELUCA!!! If he doesn't pick up his phone because he busy selling more cars, he calls you right back!!! Every part of buying my car from start to finish could not of been more pleasant and I am extremely happy with my new 2018 CLA. He goes out of his way to make sure you get the best car suited for you and he really takes an interest in how you will be using your car, and running two teens around I needed good gas mileage! He helped me make a great decision! Frank DeLuca delivered more than I could have hoped for with all his knowledge . I feel like I have a new friend now and he definitely has a lifetime customer! I wouldn't buy another car from anyone else! He is personality PLUS too! He always makes me feel so welcome and never a bother if I have a question! You can NOT go wrong if you buy a car from Frank DeLuca. I think you will become a lifetime customer too! He is the BEST! Torrey in Service is super kind too! An exclamation came light came on... and he patiently showed me I just didn't tighten my gas cap enough! Torrey always has a smile too! I actually like to stop in and get my tire pressure checked and things just to get to see Frank and Torrey in Service! Torrey also showed me in the back where to buy rubber mats that can collect sand and they even have the Mercedes Insignia! I LOVE them! We purchase 3 Mercedes from Frank DeLuca at Mercedes Benz of Bonita Springs. We were very happy with our purchase price and our finance manager Joe. We highly rocomend both Frank and joe to anyone looking for a Mercedes. Beginning to end including service they are very easy to do business with. I have purchase 3 cars in the 12 months period from Frank DeLuca. He knows his car business weather you want to lease or buy. He is honest man and will not waste your time. The company in Bonita Mercedes are good people. See Frank and you will be happy. It was a hectic week before Christmas and I wanted the car but in the past at other dealers I had to jump through so many hoops to get the deal done that I was going to wait. Frank promised it would be hassle free and everything would be done with no extra work for me. He was a man of his word. The deal was the smoothest I’ve ever done and the car is Great. Don Strong. 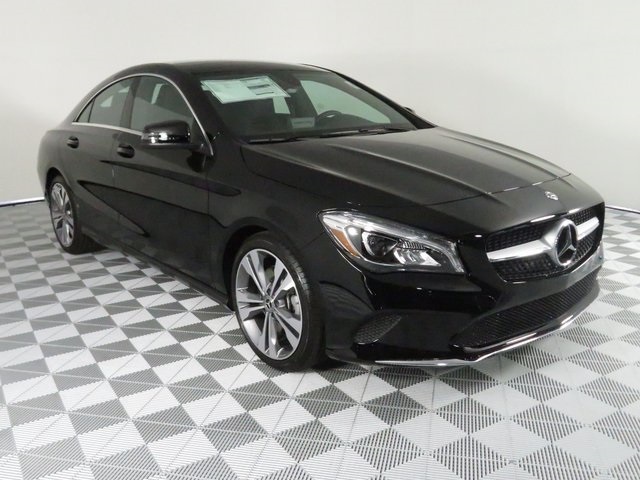 We had previously purchased a car from Mercedes Benz of Bonita Springs and were very impressed by the assistance given to us by our Salesman Frank DeLuca. When we had issues after a recent accident, Frank stepped up to act as our advocate. Frank has always been available when questions arise before, during and after the sale. When we began to consider the purchase of our second car, we immediately went to Frank DeLuca again. He located the right car for us and supported us through the process. Frank is our Mercedes representative! I had an excellent experience with MB of Bonita Springs as well as with Frank DeLuca - a professional car enthuastic expert. I met Frank about a month ago and told him what kind of car I was looking for. He followed up and we looked at several CPO over a few weeks. He called when one came in that met all my criteria. He did a great job and made it easy for me. Very seldom, if ever, do I take time to recommend a purchase experience. I just bought a car from MB - of Bonita Springs and I had the pleasure of dealing with Frank DeLuca. When you deal with a professional you're rewarded with a "first class" experience! In addition to getting a great deal, Frank, personally delivered my car to me in North Palm Beach, Florida on the other side of the state. How is that for putting the customer first? Thanks Frank. Frank helped us buy not one, but two cars! He provides over the top service and goes out of his way to serve customers. When you need a car - call Frank! Frank was great and helped me work out a nice deal on a beautiful Porsche. I would highly recommend to anyone. 5 stars not enough! My wife and I were having the worst car buying experience of our lives until a mutual friend introduced us to Frank. We made a great deal on a C300, and Frank personally delivered the car to us in Aventura. We are customers for life. You recieve Fantastic proffessional assistant with knowledge of the auto you are purchasing. You are treated with great respect and given the time needed to make your purchase. and every detail of your new mercedes is explained to you. the service center is very proffresional. I will purchase my vehicle from Mercedes Benz of bonita. I will contact Frank DeLuca to set an appt. date. Keep up the great work. Frank DeLuca took very good care of me. I bought a 2017 E300 from Mercedes Benz of Bonita Springs. Frank was very professional, took care of my wife and me with kit gloves. I would recommend him and the dealership if you want a good deal and a professional staff. I have never owned a Mercedes and didn't know much about their vehicles. Frank took a ton of time helping me find the perfect vehicle. I have purchased more cars than I would like to admit, but I can say with confidence that this transaction was the smoothest I have ever experienced. Frank knows everything about the cars and is a true enthusiast. Also, just took the car in to get tinted after three weeks of owning it and service is a breeze. I would HIGHLY recommend buying a vehicle from this dealership. Ask for Frank! Frank has been really incredible and this is my third purchase from him. He is involved from start to finish including services, appointments, recommendations, etc. I recommend working with him not only because he knows his cars front to back, but he will care about you inside as well as outside the dealership. Frank my sales representative is fabulous! Anything I needed he Delivered. Very professional & polite. Plus the staff is also phenomenal. If you need something he can make it happen. Hands-down the best dealership I have worked with. See above Service has always been trrrrfic I always stop in to say hi to frank and he is always interested and warm and asks how the car is running etc . Last visit he was great in showing me. 2017 c63 s Amg !! Frank did a fabulous job of finding the car we wanted and the handling of all the appropriate details of making our car buying experience effortless. Very professional and great to work with. would highly recommend Frank and the Bonita Springs dealership. First Class in every area. Great service representative, David Di Rocco. Fully explained/address all questions. Provided informative detailed answers. I will ask for him next time. Frank DeLuca is the most verse and professional sales/makering representation in the industry. Most important, he knows his product and clearly defines customer needs. Outstanding. I tip my hat to Bonita Springs, Mercedes for a great customer experience including great snack foods while you wait. The service was exceptional, found the vehicle I liked , and frank said “ give me 20 min” it’s yours boom!!! Just like that I was driving in my 2014 glk with only 19000 miles I Love it !!!! Everyone at Mercedes-Benz of Bonita Springs was helpful and made my car buying experience exceptional. There was no pressure and my salesman was not happy until I was happy.